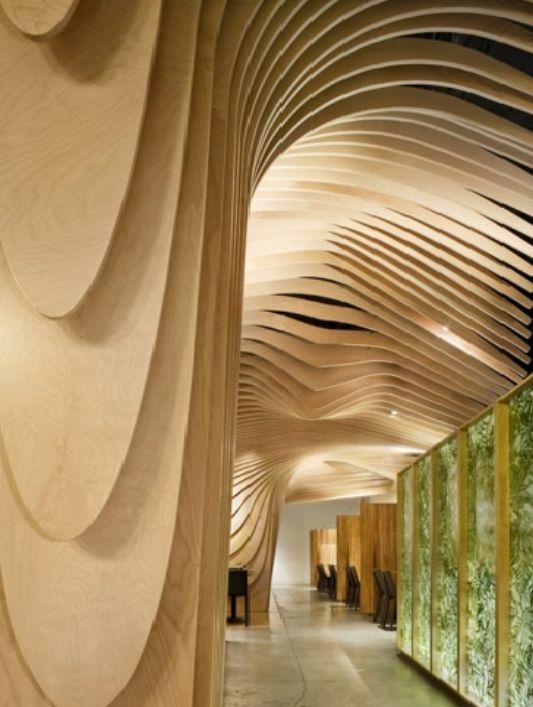 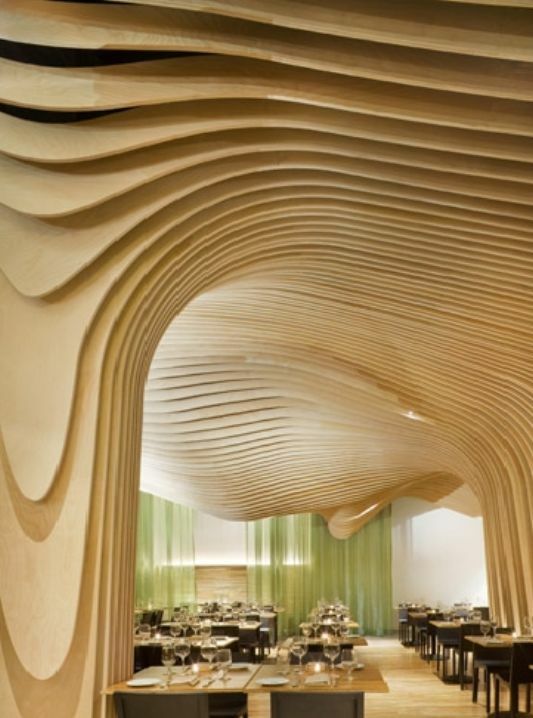 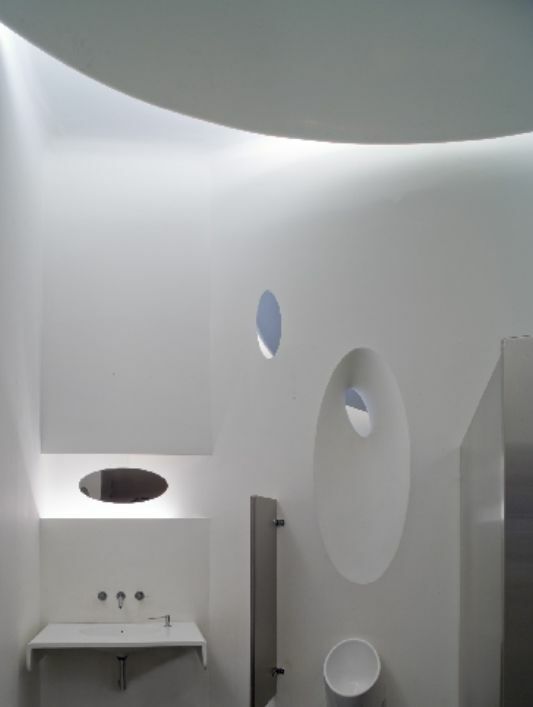 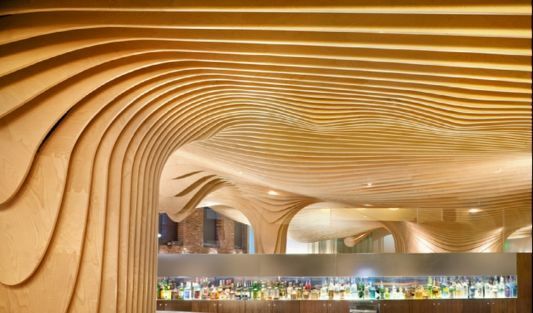 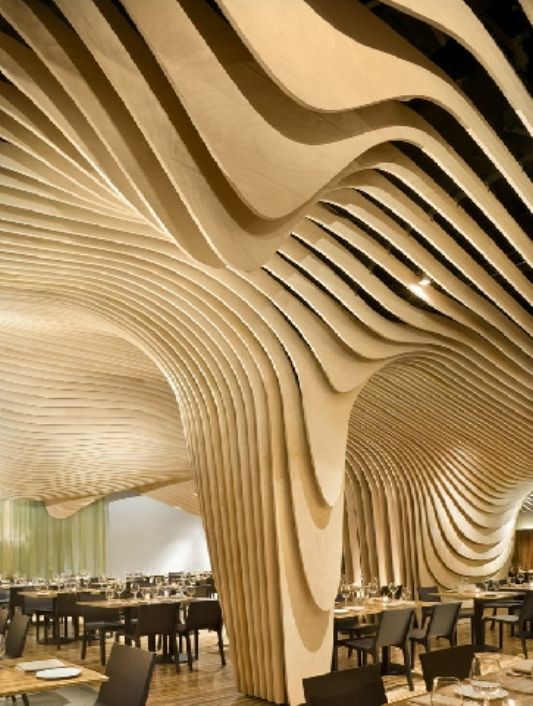 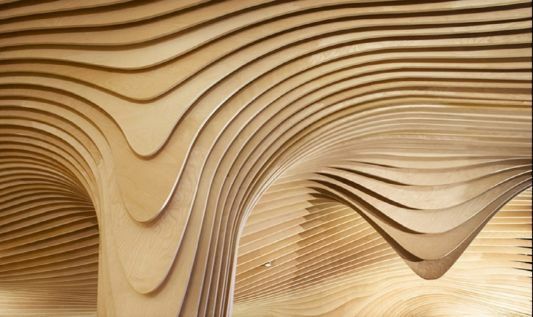 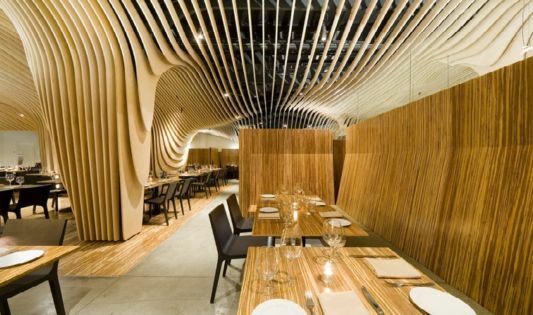 The walls of the restaurant ceiling is made from pieces of birch plywood three-quarters of an inch adhered together in a scenario that equate a puzzle. 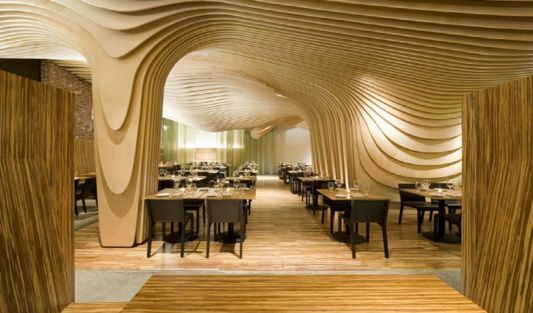 Under the beautiful ceiling dining room with furniture made from wood decor more complete harmony. 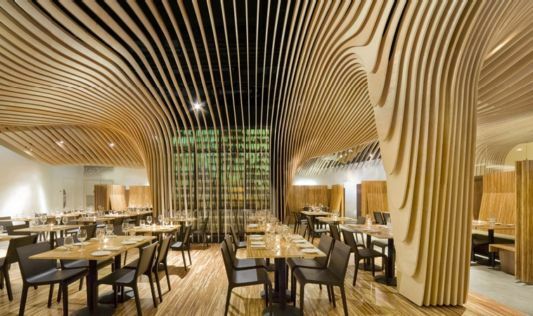 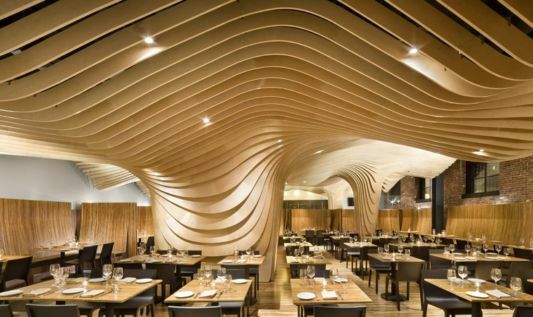 Banq restaurant interior is done by the Office dA, creating a warm sense of enjoying the meal with elements of bamboo and wood were strung together for a beautiful interior.